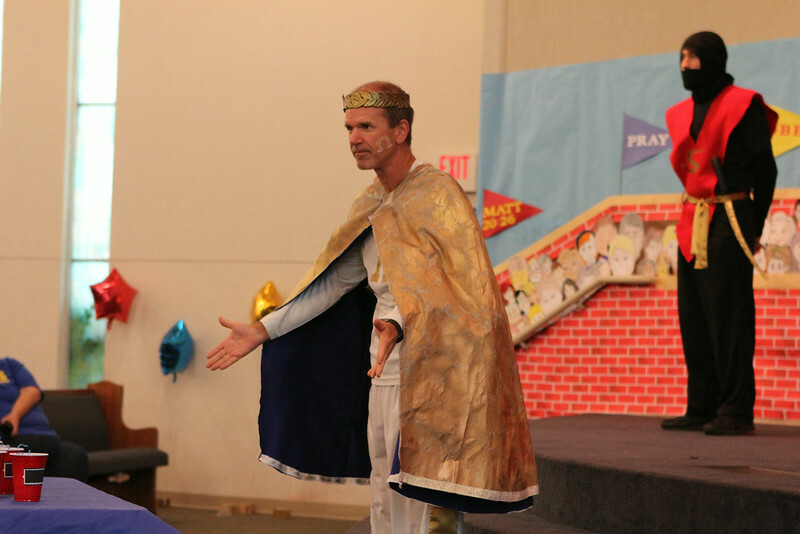 Last week our church hosted it's third annual VBS which was exciting, fun-filled, spiritual growth inspiring and wonderfulness all rolled into one happy burrito. Is that a thing? I'm not sure. 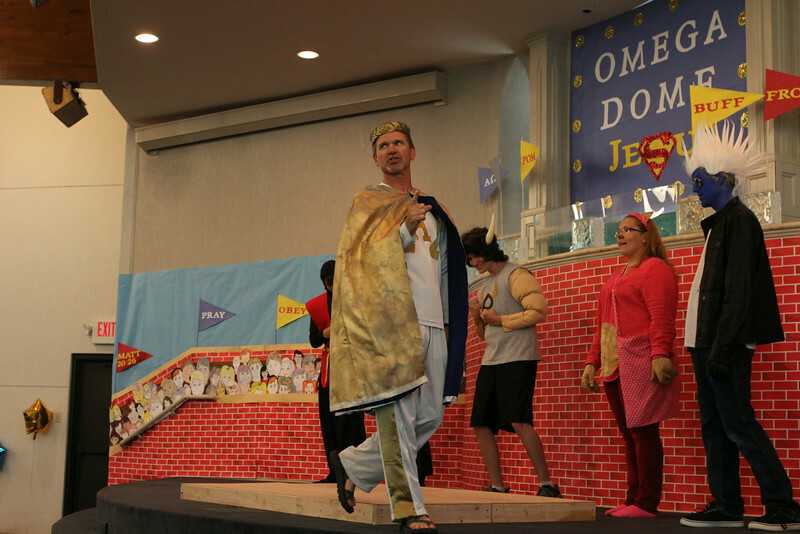 This year's VBS was a Jesus Super Hero Training Academy which, you guessed it, had a super hero theme, with Jesus, of course, being the ultimate superhero. 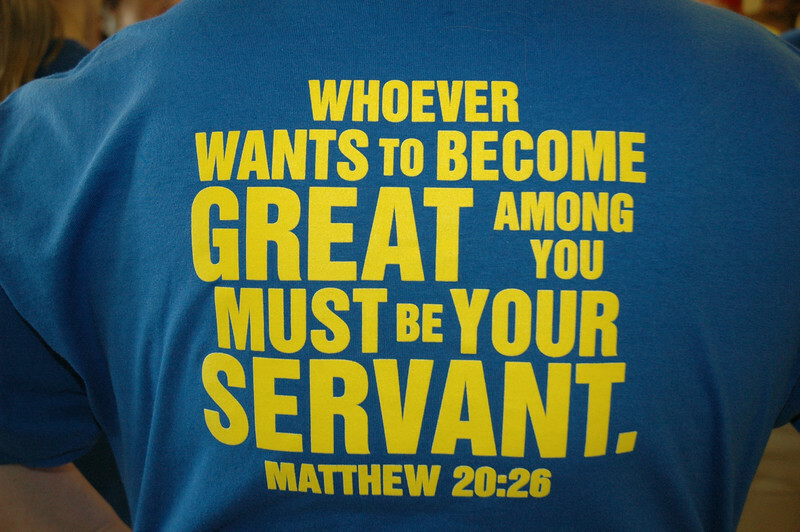 Every year we have really cool t-shirts, which every child (and worker) receives, but I think this year's shirt is my favorite, mainly because of the subway style scripture on the back. Plus I like blue and yellow. 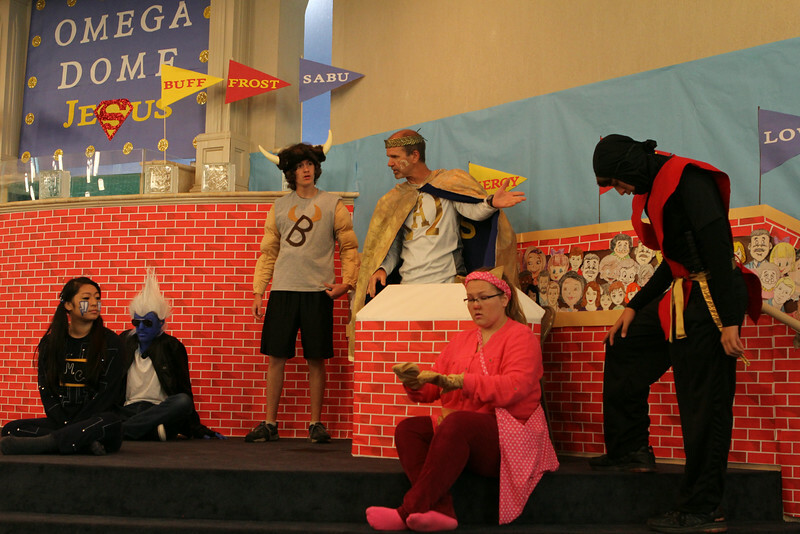 Each morning started with lots of singing followed by a different skit performed by some of our teens and our amazing youth minister. 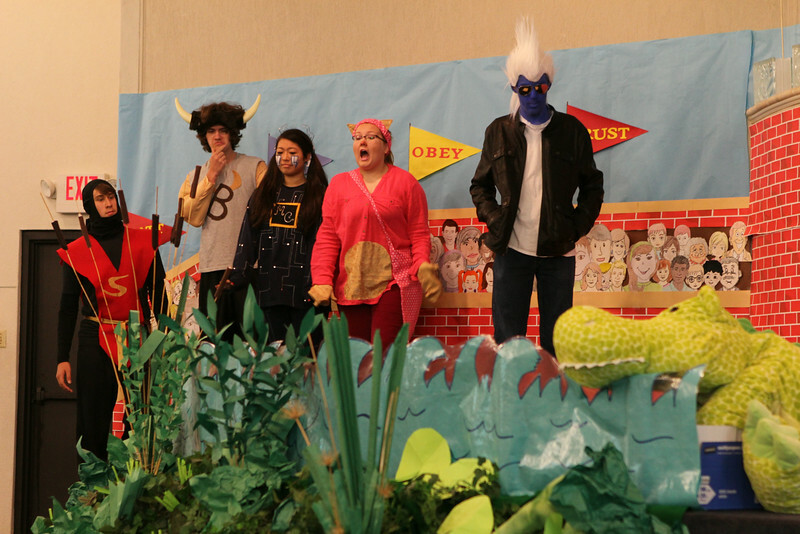 The teens were different superhero wannabes with special *powers* ranging from a super strong Buffalo, an electrically charged Micro Chick, a freezing Frost Bite, a stealthy ninja named Sabu and a wealthy, spoiled Pomeranian. 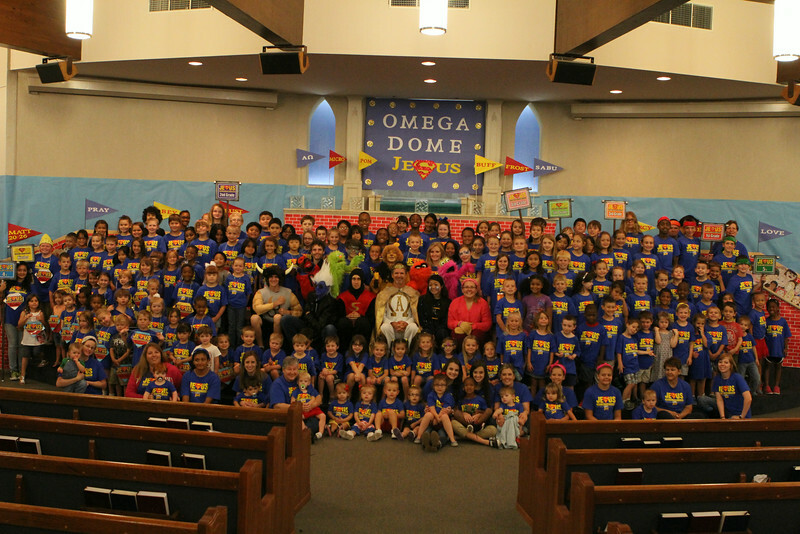 Each day they would *compete* in different challenges in the Omega Dome to be judged by Alpha Omega. Before every challenge he would remind them that the last shall be first and they must be a servant to others but they didn't really understand what he meant until the last day. 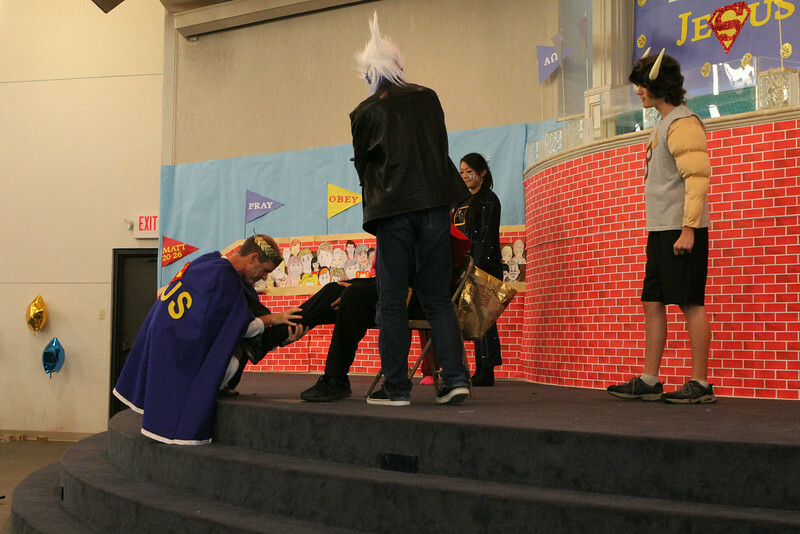 On the last day it was revealed that Alpha Omega was really Jesus when he helped an injured Sabu and gave him the crown of life for truly having the heart of a servant and putting others before himself. It was pretty powerful! 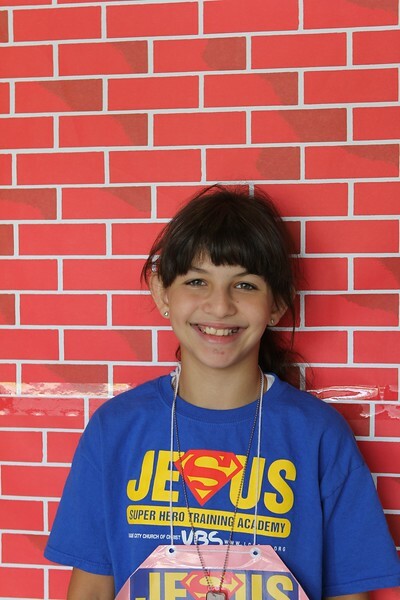 Annelise was in the 4th and 5th grade group and spent most of her time upstairs for her Agent of Jesus lessons and activities. 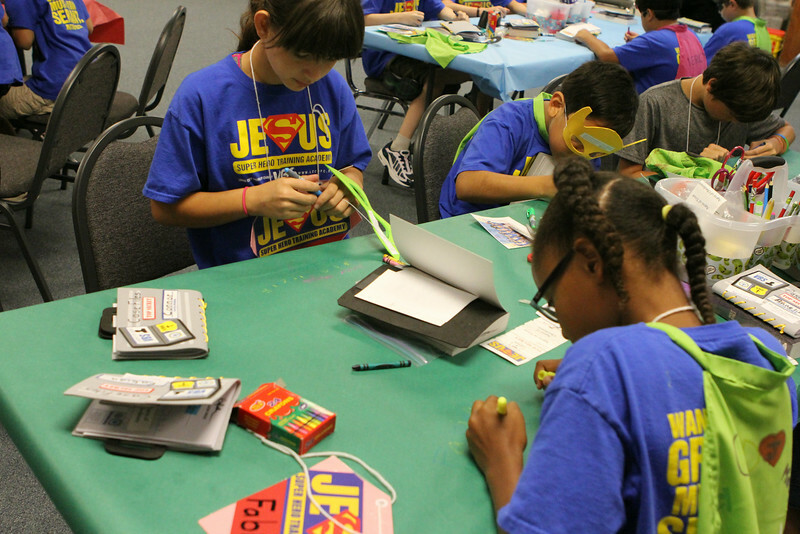 Their lessons were especially geared to older kids and focused on hero character traits of obey, mercy, trust, and love. 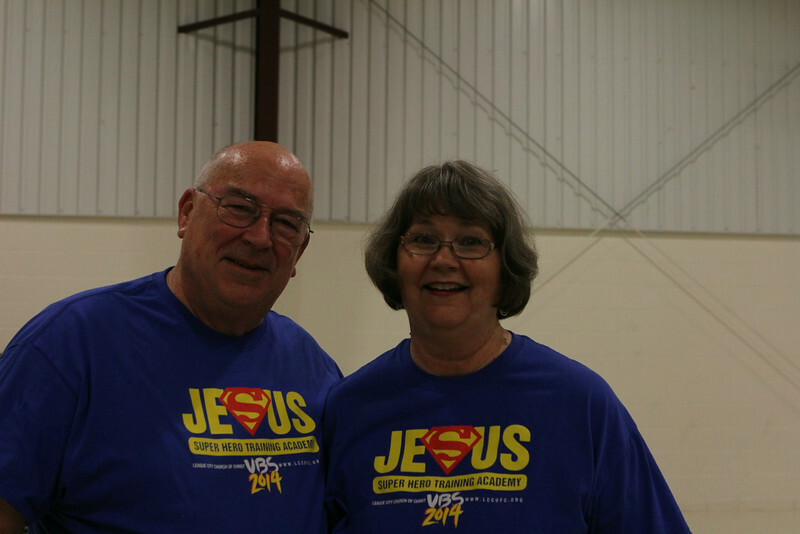 Her wonderful teachers, Mr. Ralph (our minister) and Mrs. Edna. 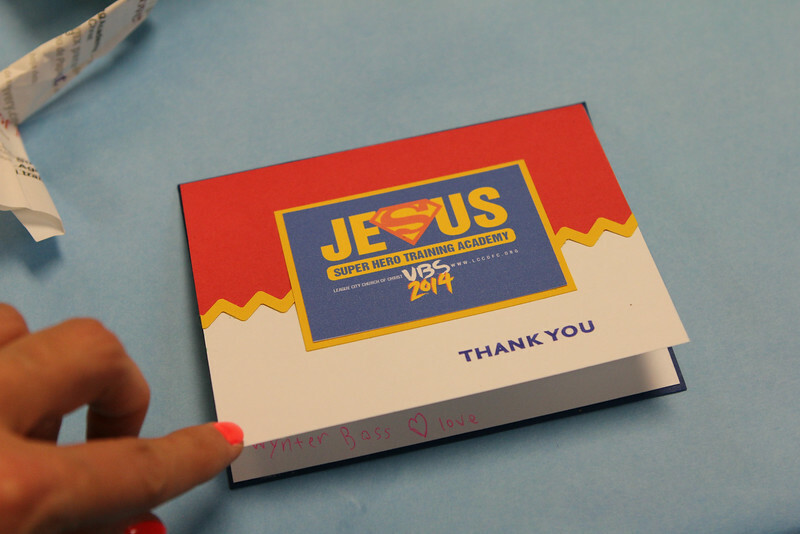 They did different bible drills, activities and crafts, like masks, capes, maintaining their case file log and making a woven heart basket to fill with candy to give to local nursing home residents. 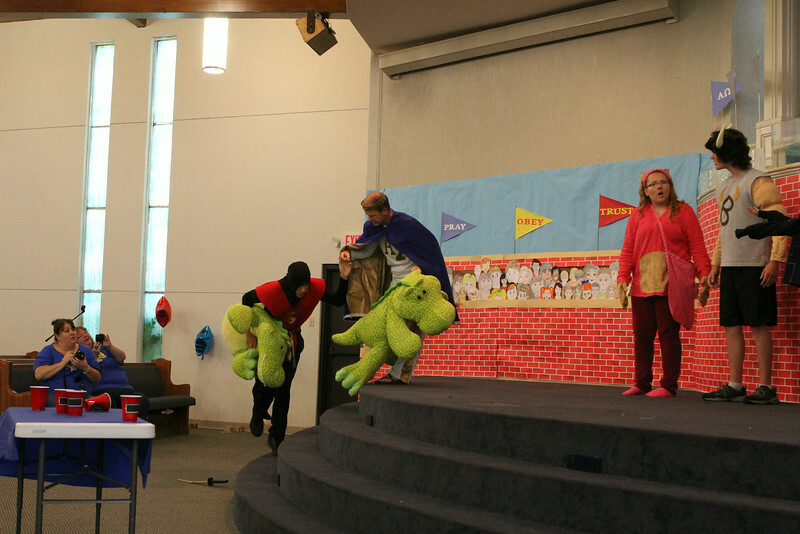 Every day a different real life hero (members from our church) would visit to talk to the kids and answer questions. 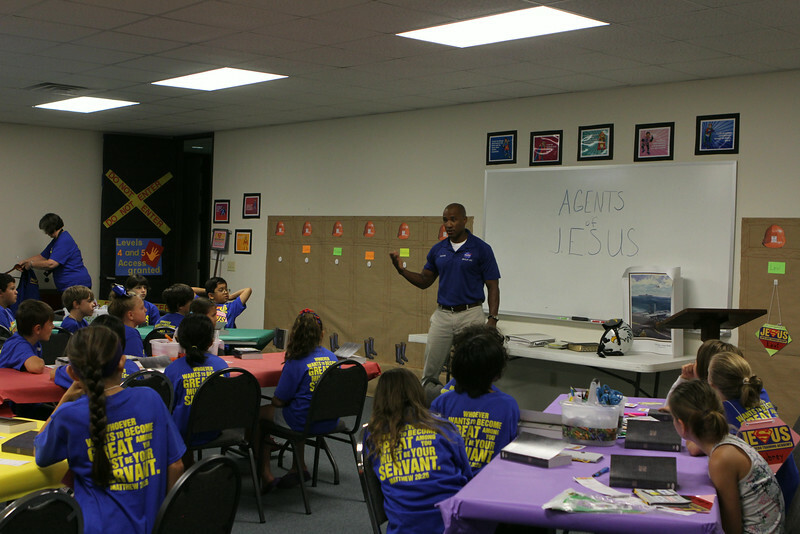 The first day featured a fighter pilot and astronaut candidate who spoke about odedience. You could have heard a pin drop while he was talking, the kids were so engaged! 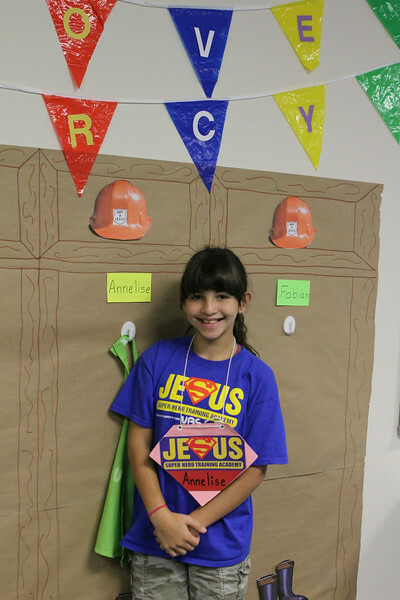 They also heard from a Houston Firefighter and EMT about mercy, a Navy deep sea diver about trust and a beloved CCISD high school teacher (Mrs. Edna) talked about love. I missed hearing the firefighter (kicks self!) but am so thankful I got to hear pieces from the others. They were so inspiring! 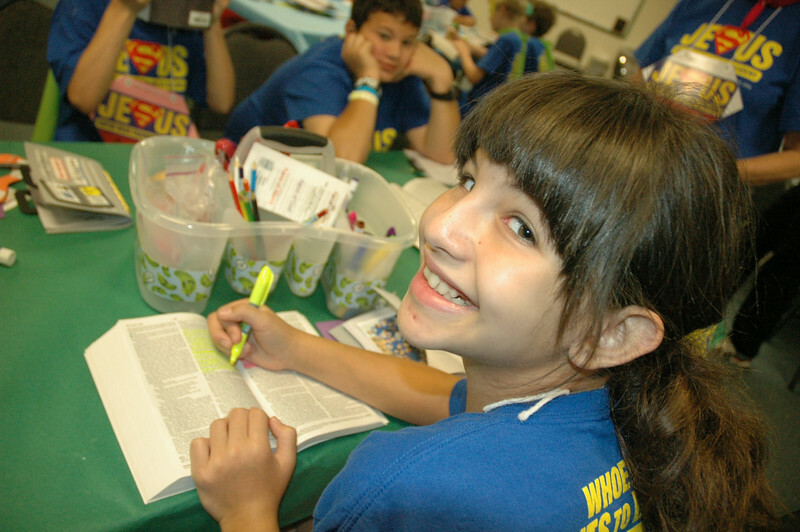 The kids signed thank you notes the last day for each of their guest speakers, which was really sweet. 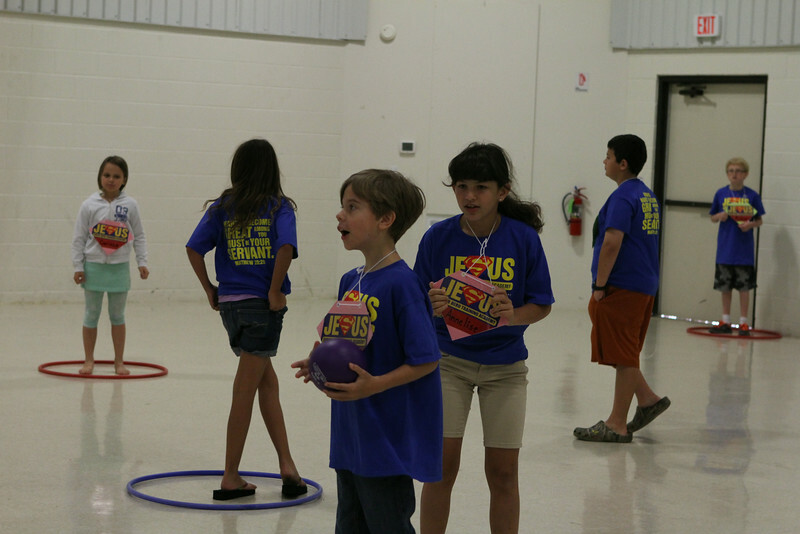 There was also a PE rotation where they played different games each day. Followed by the all important snacks. 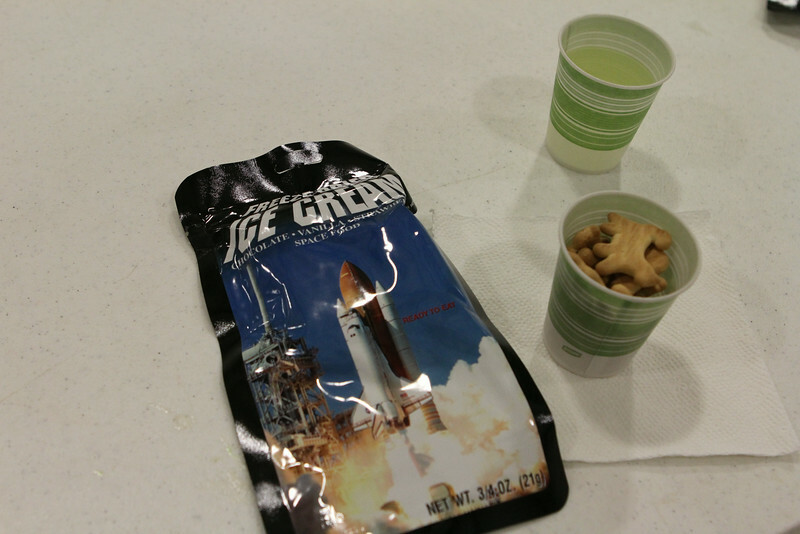 On the day that Mr. Glover (the astronaut trainee) visited the 4th and 5th grades enjoyed some freeze dried ice cream (some kids loved it, others hated it, Annelise gave hers away after a tiny bite) along with their animal crackers, which was a neat treat. 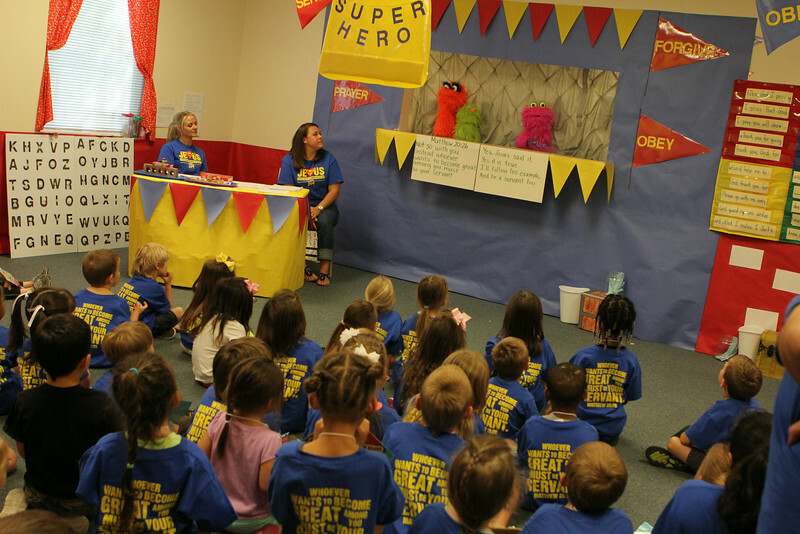 The younger kids (toddlers through 3rd grade) also got to travel to crafts and to two different application rooms for a puppet show, reinforcement games and other fun learning activities. Of course the girls and I had to pose for a photo together. 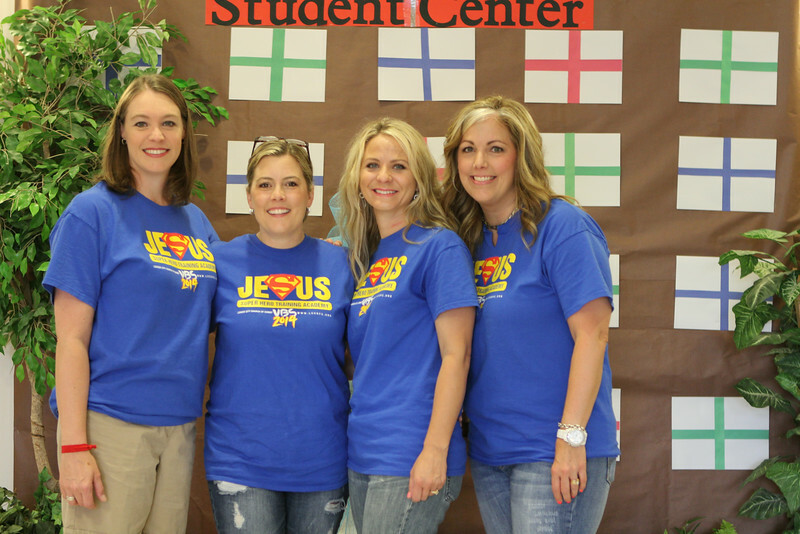 :) Kim was one of the master VBS Planny Plannerson Head Honchos, Heather taught one of the the toddler classes, Robyn taught one of the application rotations and I was one of the VBS photographers. 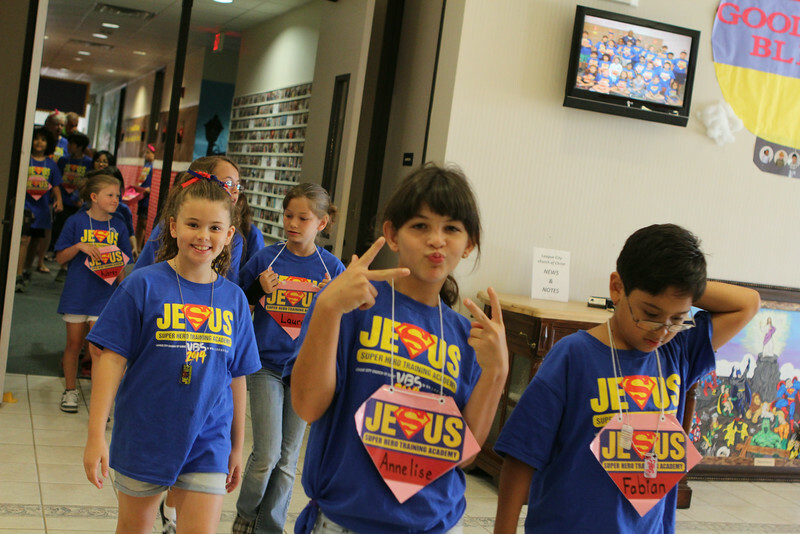 Each year our VBS has grown, from 109 the first year to 160 this year! It's encouraging to not only see growth but to see the same visitors come back year after year. What a blessing! Hopefully lots of seeds have been planted! Oh my gosh! this is so awesome! What a great event to be part of every summer. A is one lucky kid. This made me cry... Love you!